Presenting the key principles of thermodynamics from a microscopic point of view, this book provides engineers with the knowledge they need to apply thermodynamics and solve engineering challenges at the molecular level. 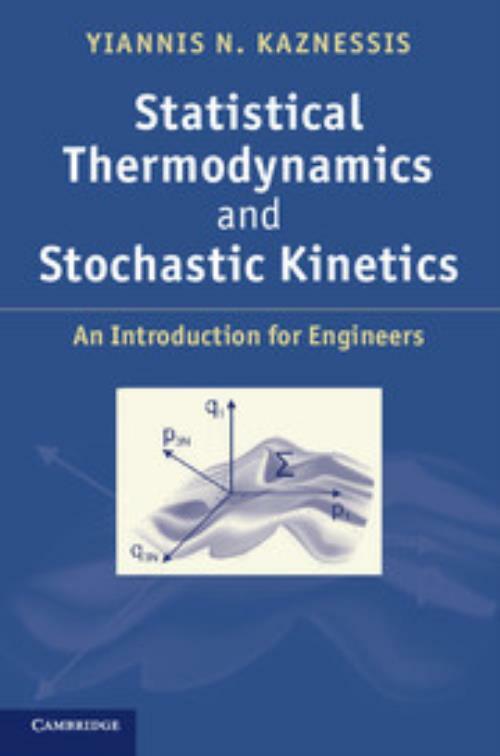 It clearly explains the concepts of entropy and free energy, emphasizing key ideas used in equilibrium applications, whilst stochastic processes, such as stochastic reaction kinetics, are also covered. It provides a classical microscopic interpretation of thermodynamic properties, which is key for engineers, rather than focusing on more esoteric concepts of statistical mechanics and quantum mechanics. Coverage of molecular dynamics and Monte Carlo simulations as natural extensions of the theoretical treatment of statistical thermodynamics is also included, teaching readers how to use computer simulations and thus enabling them to understand and engineer the microcosm. Featuring many worked examples and over 100 end-of-chapter exercises, it is ideal for use in the classroom as well as for self-study. 18. Simulations of stochastic reaction kinetics. Yiannis N. Kaznessis University of Minnesota. Yiannis N. Kaznessis is a Professor in the Department of Engineering and Materials Science at the University of Minnesota, where he has taught statistical thermodynamics since 2001. He has received several awards and recognitions including the Fulbright Award, the US National Science Foundation CAREER Award, the 3M non-Tenured Faculty Award, the IBM Young Faculty Award, the AIChE Computers and Systems Technology Division Outstanding Young Researcher Award and the University of Minnesota College of Science and Engineering Charles Bowers Faculty Teaching Award.